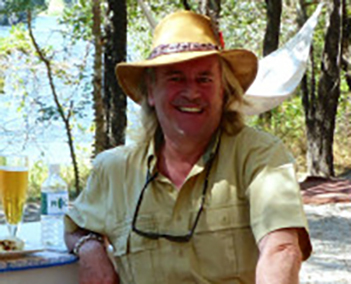 Paul has a love for international travel, has visited 131 countries and lived in 7 countries on 3 continents. He is a Fellow of the Royal Society of Arts, a Fellow of The Royal Geographical Society, a member of Skal International, The Foreign Correspondents Club of Thailand, The British Club Bangkok, and The Eccentrics Club. 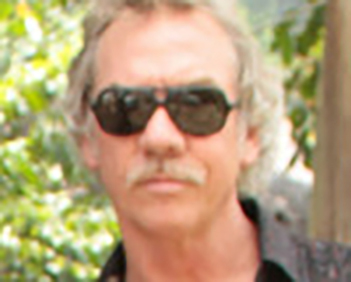 Paul divides his time between homes in Thailand and Spain, and his offices in Africa and Asia. 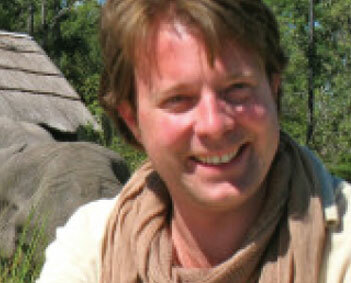 Born in England, Daniel spent his formative years in Tanzania, where his love of Africa was nurtured. He then moved, with his family, to the Seychelles, where he spent a number of years. 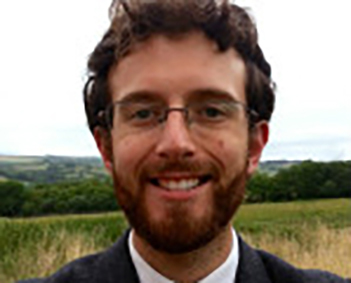 Daniel completed his education back in England, graduating with a degree in Travel & Tourism Management. He went straight into a career in travel, quickly becoming the branch manager of a leading UK-wide retail chain for their prestigious Central London Office. 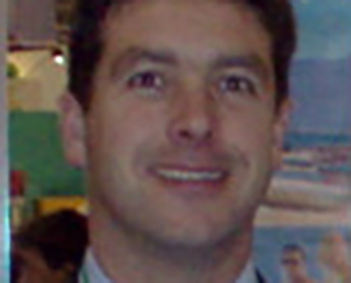 He returned to Africa, as operations manager for a large inbound operator based in Johannesburg, working alongside his father Alan, before establishing dmAFRICA with business partner Paul Humphreys in 1997. A love of deep-sea fishing takes him off the coastline of Africa at every opportunity. Daniel is a keen follower of sports, especially rugby and soccer. 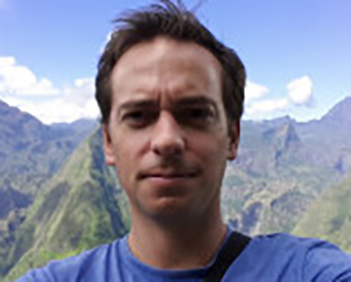 Daniel lives with his wife and two young sons in London, and is based in the London Sales Office of dmAFRICA with frequent trips throughout the African continent. 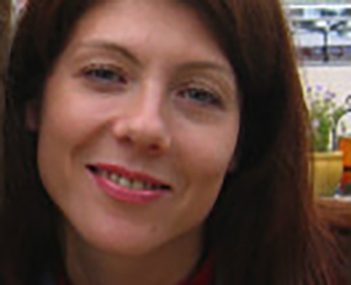 Adriana was born in Bulgaria and studied in Italy where she concentrated on modern languages. She is fluent in Italian, English, Russian and Bulgarian. 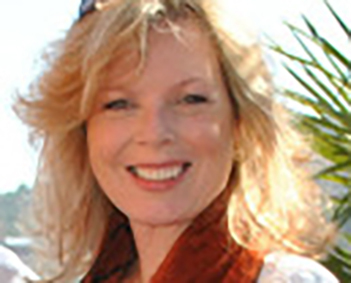 She joined Paul, Daniel and Manuela in 1996 and since that time has specialised in inbound tourism to Southern Africa.She fully understands the requirements of her international clientele and is equally at home preparing an incentive tour for an Italian operator as she is in finding an island retreat for honeymooners from Israel, or from any other country. Manuela was born in Germany and raised in South Africa, where she completed her formal education by graduating with a BA Honours Degree. 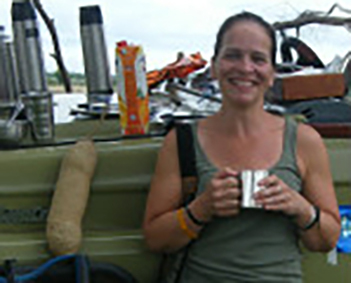 She entered tourism in 1992 and quickly became a specialist in inbound tourism to Southern Africa, working alongside Paul, Daniel and Adriana for most of that time.She is fluent in English and German and has a clear understanding of the different demands and aspirations of various worldwide tour operators and their clients. During 20 years, Manuela has gained widespread product knowledge throughout Southern Africa and has also added Mauritius, Seychelles and East Africa to the destinations she has experienced first hand. Nicole was born and raised in South Africa, where she completed her formal education by graduating with distinction in Travel & Tourism. She has travelled extensively in South Africa, Botswana, Seychelles, Zambia, Zimbabwe, Zanzibar and numerous private game parks within the Southern African borders. Nicole worked for a Southern African luxury lodge management company before joining the team of dmAFRICA in 2011, and is now able to put her extensive product knowledge to good use in itinarary planning for our clients. She is a keen sportswoman, having played netball, and rowing, as well as watching numerous team sports. She has a great interest in current affairs and keeping abreast with all that is happening in our world, politically, financially and socially. Although born in Zimbabwe, Mike grew up in Malawi, so it is very much home for him. 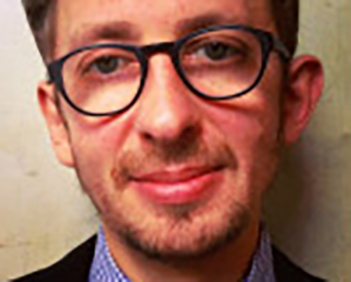 After graduating with a bachelor of Business Administration from the University of South Africa, Mike moved to London and spent six years living the “London dream”. However, Africa was always in his heart and in 2009 he moved back to Malawi to set up his own tour company. He has never looked back. 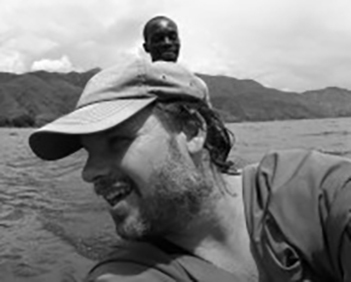 Loving life and his work in Malawi, he has found a perfect balance and aims to share the many wonders of Malawi with the world. He relishes making the tours as special as they can be, continually expanding them to include all the best spots in Malawi and the surrounding areas. Leander borg was born in the little coastal town of Swakopmund in Namibia. After his studies in beautiful Stellenbosch in South Africa he travelled to Germany and got his first job (just to make some money) at a tourism representation company – and has never looked back. Now based back in Windhoek since 2000 he is married with three children. His passion is the outdoors. Privately he likes exploring new things, like hiking unassisted through the Namib dune belt, riding with fatbikes from Sossusvlei to the Atlantic or just travelling and meeting people from different cultures. Professionally there is nothing more exciting than being challenged – to deliver products out of the ordinary, to do things that have not been done before or that others shy away from : which is most of the time what is required for the dmAFRICA type of client. 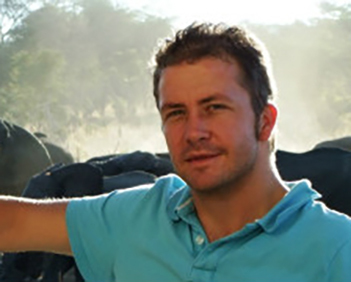 Luke was born and raised in Zimbabwe, attending the oldest boys’ school in the country, St. George’s College, before studying for a Bachelor of Science and then an Honours degree in Zoology at Rhodes University. After Rhodes Luke lived and worked in Kariba and Victoria Falls for a year before deciding that some international experience would come in handy whilst Zimbabwe was resolving some home issues. 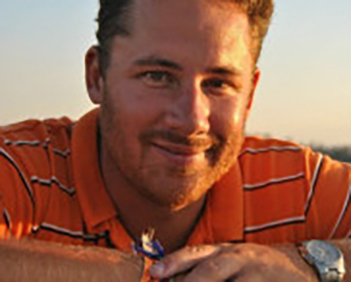 He travelled to Dubai to take up a post as a field guide at Al Maha Desert Resort, where he met his wife Suzanne, and together they returned to Zimbabwe to become involved in the resurgent Zimbabwe tourism industry.Luke is extremely knowledgeable and passionate about Zimbabwe and is closely connected with the top local suppliers. He is creative, has a natural affinity for people and a clear understanding of what it takes to provide an incredible travel experience in Zimbabwe. Suzanne is originally from south east Netherlands. After completing an international hospitality degree in Manchester, she travelled through Canada and South America before taking on management roles with Leading Hotels of The World in Manchester (The Lowry) and Dubai (Al Maha), where she met Luke, her Zimbabwean husband. Together they travelled the world for a while, before working in Victoria Falls and Chobe and making Zimbabwe home in 2010.Suzanne is a master planner – meticulous in her journey building and intensely determined to make each guest’s visit a truly memorable and special one. She is highly respected and well networked with the finest products and services that Zimbabwe has to offer. Adam is the younger brother of Daniel and the son of Alan Brown. Like them both he has a love of Africa, he has enjoyed safaris in East Africa and additionally has visits to the Seychelles and South Africa under his belt since an early age. He has a love of outdoor life and lives in Devon in the UK. He is a keen sportsman and an accomplished footballer whilst also maintaining a passing interest in golf. Adam studied Travel & Tourism at college where he received a distinction and A’s in his A-Levels. Living for the first 20-something years in Northern Ireland, where Vivienne was born, and Scotland, the opportunities for far-flung travel were few. But, deciding it was time to explore a little of the world, Vivienne ventured to Kenya and Tanzania and was well and truly bitten by the African travel bug.Subsequently moving to Africa, Vivienne made the continent her home for over 13 years and spent a year studying African Wildlife Management in Tanzania before entering the African tourism industry in 2006. 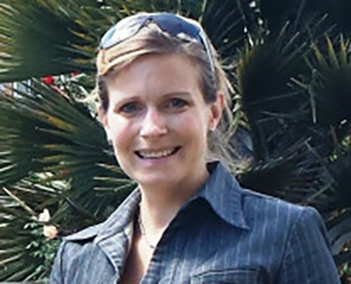 The next 10 years saw Vivienne expanding her knowledge of the regional market while working for top lodges and tour operators in Zambia, Malawi and Tanzania, including 2 years in the dmAFRICA Arusha office. Returning to the UK in early 2017, Vivienne is thrilled to be part of the dmAFRICA team again and keen to share her experience of, and passion for, Africa with anyone who will listen! 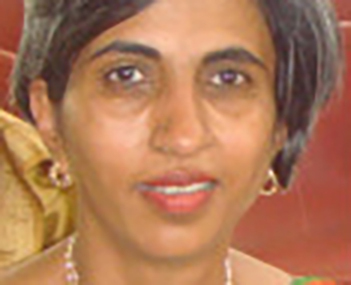 Born and raised in Kenya, Nilima received a degree in Biochemistry from the University of Nairobi. 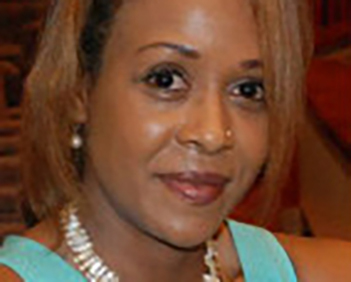 She has been working in the tourism industry since 1984 gaining experience in operations, sales and product development, financial planning and management. Popsy was born and raised in Kenya, and educated in the U.K. and U.S.A., and holds a degree in Travel-Tourism Management & Marketing. With a strong passion for Africa Popsy has developed an in-depth knowledge of all areas of the continent. She moved back to Kenya in 1986 and has been working in inbound tourism ever since. Born in Ethiopia when his father was preparing for his PHD in Anthropology and has spent most of his life in Africa. He has completed his BFA in photography. 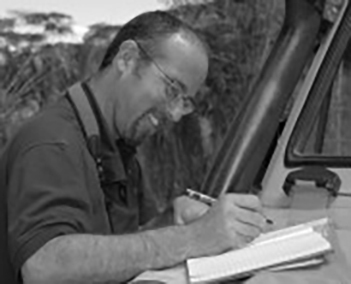 Hagai is a dedicated naturalist with a passion for birds and marine biology and he has worked as a safari guide and as a photographer in East, Southern and North Africa. Born in South Africa where he has spent much of his life. He is a seasoned traveller who has visited many parts of the World. 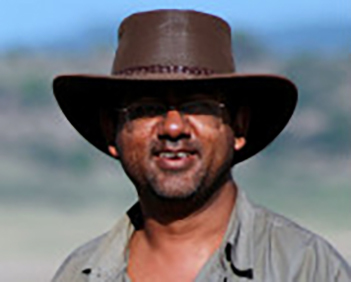 In Africa, he has great experience as a safari guide and he has also undertaken the safari management of some of the World’s most prestigious incentive groups. 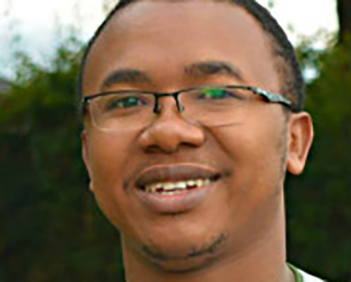 Ilan’s knowledge of the African continent is exemplified by his graduation with a BA in Africa Studies. Tony was born in Ireland but grew up in London, in one of the “liberated areas”, Kilburn, often referred to as “Little Dublin”. He did Middle East Area Studies at the School of Oriental and African Studies (SOAS) and spent some years in various Arab countries before heading off by road to Africa, taking a ship from Jeddah to Ethiopia in 1973. Fast forward a decade to the mid 1980s, and Tony was in Sudan with his Ethiopian wife (whom he’d had to smuggle out of Ethiopia post revolution), where he met the Tigray People’s Liberation Front (TPLF) which was fighting the military regime of Mengistu Hailemariam. He went to work for them for many years, until together with other fronts they overthrew Mengistu, who decamped to Zimbabwe. Post war in the early 1990s, Tony set up a party-affiliated tourism company, before going private. He is now settled in Ethiopia where he runs the dmAFRICA office and a restaurant. Patrick grew up in Kenya and then trained as a Chartered Accountant in London, before working in the West End for several years. His love of the bush soon brought him back to East Africa and into the safari business. He has been with dmAfrica since several years, and is in charge of our Uganda operations. 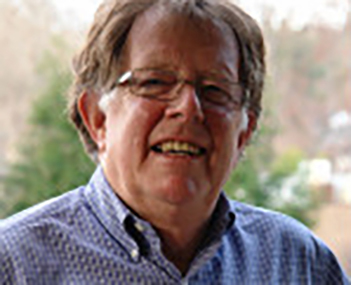 Patrick is based in the dmAFRICA Kampala office, a trusted dmAFRICA Associate Partner. Arthur is based in the dmAFRICA Kigali office, a trusted dmAFRICA Associate Partner. Alberto Nicheli is Italian and has been living in Togo since 1985. However, he organized his first trans-Saharan expedition in 1972. Alberto has a real sense of adventure and a true “nomadic spirit”. Every year he devises new itineraries based upon his own exploratory travels in the region. He has a profound knowledge and understanding of African art and of the many traditions and customs of the people who inhabit these remote territories. 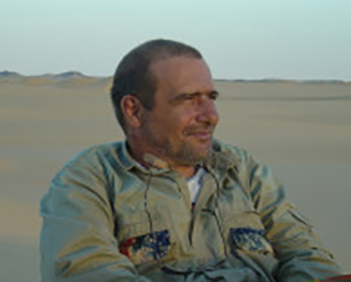 Alberto has been responsible for the organization in the field research for the photo-ethnographic book “African Ceremonies” by Angela Fisher and Carol Backwith, as well as for related material for National Geographic; he also managed the travel logistics and arrangements for a Discovery Channel film crew making a movie-documentary on the salt caravans of the Sahara. Alberto also worked on archeological and ethnological expeditions to investigate customs and traditions of the Tuareg people and the pre-historic rock art in the Sahara. He has also organized several ‘first-time’ explorations between Taoudenni-Oualata and Taoudenni-Chinguetti in Mali and Mauritania. 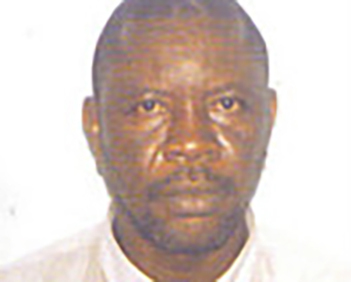 Alberto is based in the dmAFRICA Lome office, a trusted dmAFRICA Associate Partner. Jude is based in the dmAFRICA Duala office, a trusted dmAFRICA Associate Partner. Kenneth was born in Sierra Leone married with two children.After primary and secondary education in Sierra Leone he graduated from University in Dakar- Senegal. He entered the travel and Tourism industry in 1991 as a Tour Guide in The Gambia and rose to the rank of bilingual tour Representative for a conglomeration of UK Tour Operators before returning home to set up his own business in 2003 in Freetown, now a part of the dmAFRICA network. 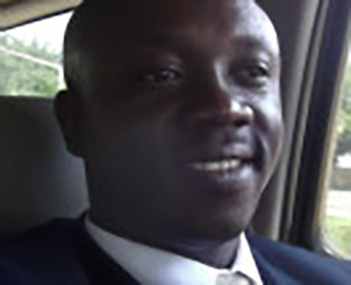 Kenneth is based in the dmAFRICA Freetown office, a trusted dmAFRICA Associate Partner. Born in Egypt, George has over 30 years of experience in the travel industry in the fields of: Luxury travel; Corporate travel; and organizing Events and Incentive travel in Egypt and worldwide. A Member of Rotary Club of Egypt for more than twenty years; American Chamber of Commerce; British Egyptian Business Association; SITE; WATA; WOI; SKAL; ICCA and ATOUT France. 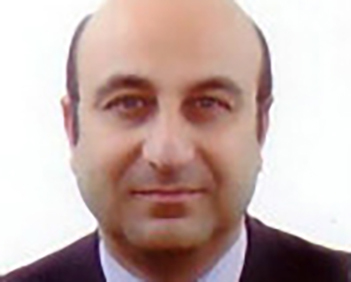 George is based in the dmAFRICA Cairo office, a trusted dmAFRICA Associate Partner. 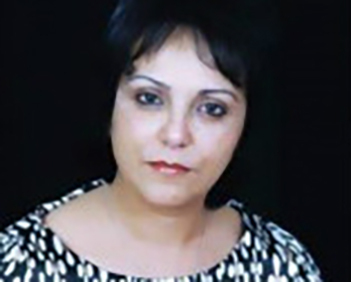 Fadwa was born in Morocco in the city of Marrakech where she lives with her husband and young daughter. She achieved her bachelor degree in 2001 and after 3 years of further studies gained her Diploma in Tourism and Hospitality. Different trainings helped her to further expand her experience in Tourism, Event and Tour Operating. 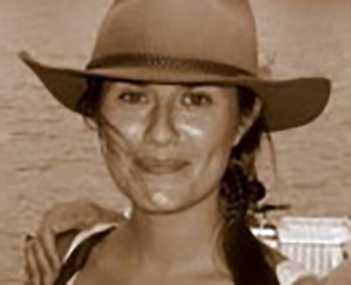 Since 2007 she has worked in DMC tourism in Marrakech, offering a wide range of professional services throughout the country, especially in the southern Desert and individual designed itineraries. Moufida is based in the dmAFRICA Tunis office, a trusted dmAFRICA Associate Partner. Before arriving in Cape Verde, Miguel studied law and has an honours degree from the University of Lisbon. He is fluent in several languages including English, German, Russian, Portuguese and Spanish. Miguel is an accomplished sportsman with soccer a special passion—not surprising when Cape Verde has produced so many top soccer players now playing in the English Premiership and other top leagues in Europe. Miguel is based in the dmAFRICA Cape Verde office, a trusted dmAFRICA Associate Partner. Born in the South of France, after studies in France and in the US, Clement graduated a Business School with specialisation in International Tourism Market. His passion for Travels lead him to discover more than 40 countries in different places around the World. Clement discovered amazing Reunion Island in 2003 and fell in love with this paradise land. Clemont is based in the dmAFRICA Reunion office, a trusted dmAFRICA Associate Partner. Born and raised in Kenya, New York based Claire Eastwood has travel in her blood and Africa in her soul. After graduating from the University of Edinburgh, where she studied World Religion, majoring in African tribal religions and Islam, and after a year living in Morocco, Claire moved to London to work at a marketing firm, creating one off, experiential brand events around Europe. While she will always consider Kenya her true home, she has lived in the US for over 7 years, working in travel. She is available day and night, weekends and even national holidays to talk about all things Africa! Claire has travelled extensively round East and Southern Africa and loves nothing more than sitting for hours with Elephants, her most favorite animal. Sending people to Africa is not a job – it’s a joy! Raised in New Zealand and living by the credo “life is not a dress-rehearsal”, Liz’s love of travel took her to New York where a one year posting became a 15 year stay. 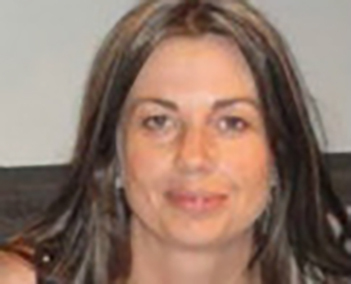 Roles at Tourism New Zealand and a leading South Pacific Tour operator provided a training ground which instilled in her a competitive and professional work ethic that has remained her touch stone. The lure of the South Pacific and warmer temperatures took her to French Polynesia for a grownup’s gap year with an eventual reluctant return to responsibility leading to a Sydney relocation. 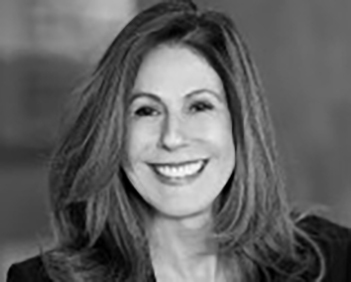 While holding management & senior business development roles at luxury boutique hotel brands including Small Luxury Hotels of the World, and The Charming Hotels Liz established strong and enduring relationship with the managers and owners of leading Australian & NZ travel agencies and coal face sellers of luxury travel. Born in Moscow, Elena graduated from the State Academy of Management and has worked for international travel companies for over 10 years. Previously she lived in South Korea, Canada and the Netherlands, and already having travel in her blood, she took every opportunity to broaden her knowledge of a myriad destinations. Working for The Leading Hotels of The World, and later for Altezza Communication, she has represented luxury hotel brands and specialist Destination Management Companies, which she promoted to the Russian travel operators, and to discerning private customers. The complexities of this particular market segment brought to Elena the special requirements of the boutique leisure market. This passion and experience was a perfect fit to enable her to take on the role of representing the upscale portfolio of dmAFRICA. With its various cultures, geographical locations, flora and fauna, and amazing wildlife, Africa has always been a special interest for her. The role with dmAFRICA enables her to embrace her passion. Elena enjoys meeting and communicating with people, especially when talking about her passion for Africa, and many have been persuaded to take life changing safari experiences after a dialogue with her!